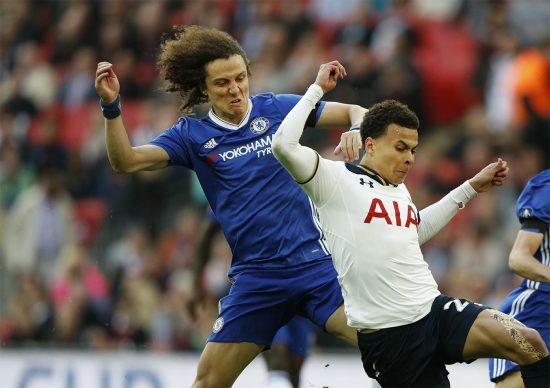 Chelsea set to don yellow shirts against Tottenham at Wembley. Spurs’ home shirt is deemed too blue, it’s seen as a clash. Come rant with us about this awful news on Twitter @TalkChelsea. Cancel it. Call it off. We’re not interested. Chelsea against Spurs, on the Wembley turf, on a cold Saturday night, under the lights, in f***ing yellow. YELLOW. Chelsea in YELLOW, against SPURS. The iconic blue of Chelsea going to battle with the white of Tottenham is a spectacle that we all look forward to when the fixture list is released. Whoever made the decision on the kits the two sides would be donning tonight clearly have no interest in prolonging that tradition. They want to ruin this usually enjoyable occasion for us. As Chelsea tweeted out their team sheet with a bright yellow background, it became clear to us that this game would not be worth watching, unless you’re unconcerned about keeping your dinner down. All jokes aside, Tottenham’s funky blue faded pattern which creeps up the bottom of their home shirt has been deemed too blue to be matched with Chelsea. Still, it’s going to be hard to stomach – it’s just not right.